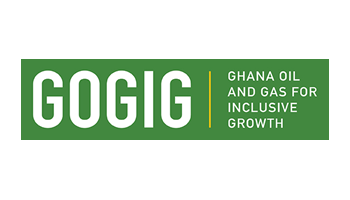 The Ghana National Gas Company is to take the downstream sector of the petroleum industry to the next level by monetizing a very essential by-product, Isopentane to kick-start local production of fertilizer and other products. Since it commenced Commercial Operations in April 2015, the Company has been flaring this vital derivative of Natural Gas-Isopentane. Though Ghana has a zero gas flaring policy, the derivative which has various uses was burnt because there was no storage for it and funds were unavailable to commercialise the product. The Company has been scouting for a prospective firm to buy the Isopentane for years without success. The situation will soon change. 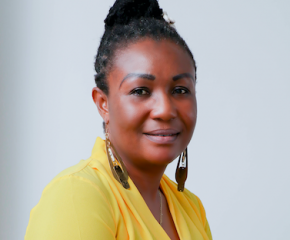 According to the Communications Manager of the Ghana National Gas Company, Ernest Kofi Owusu-Bempah Bonsu, the Company intends commercializing the product to facilitate the establishment of downstream petrochemical and agro-chemical industries. 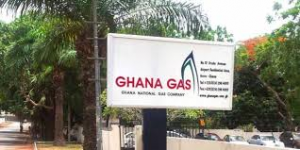 Government through the Ghana National Gas Company (Ghana Gas) has entered into an agreement with ENI, an Italian Multinational Oil and Gas Company, and one to the global supermajors to receive the Isopentane to produce fertilizer and also for power production. He pointed out that the utilization of the Isopentane for fertilizer will help boost agriculture in the country. “Farmers will heave a sigh of relief and it is great news for the people of Ghana.” Mr. Owusu Bempah Bonsu stated. 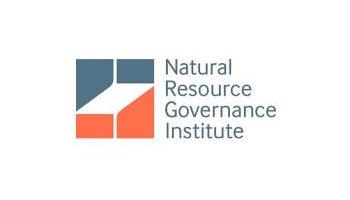 An International Energy Statistics report by the U.S Energy Information Administration on Ghana has revealed that in 2015 alone, 4.60 Billion Cubic feet of Natural Gas was vented and flared by operators in the petroleum sector. The figure was even higher from 2010 when commercial production began. The Company issued a statement informing the public that it has shutdown the Atuabo Gas Processing Plant for routine maintenance. The shutdown began on the 1st of February, 2018. The Processing Plant is expected to resume operations in the last week of February. Isopentane, also known as 2-methylbutane, is an organic compound and flammable liquid that has various uses. Apart from fertilizer, it is used in the formulation of cosmetic products like make-up, shaving cream, cleaning products and hair conditioners. It is also used in geothermal power production to drive turbines. It can be combined with dry ice or liquid nitrogen to freeze tissues for cryo-sectioning in histology (medical operations). Checks at www.rightpricechemical.com indicate an average price of $32 per 500ML (G2961) for Isopentane on the World market. With commercialisation of the product, the country will rake in additional revenue. Some industry watchers have expressed doubts about the feasibility of having a fertilizer factory in the country. Quoting the country’s Gas Master Plan (GMP), a Policy Analyst and Member of the Public Interest and Accountability Committee, Dr. Steve Manteaw said the Plan recommended to Government to focus more on power generation in line with the policy objective of achieving energy security and propelling a quantum leap for industrialization. “If Ghana wants to produce fertilizer based on the current production level, it will be cheaper to import than to produce here. The volume of gas we have now cannot support that. When more gas come in later, that could be possible,” Dr. Steve Manteaw asserted. He noted that based on economy of scale, it is not a viable venture to go into fertilizer production. This implies that the Master Plan is not in favour of using the present “limited gas” for the production of fertilizer among other petro- and agro-chemical products. 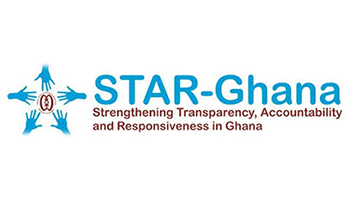 Averagely, Ghana Gas received 2,577 Million Standard Cubic Feet, mmscfd raw gas from the gas field in 2017 as against a monthly average of 1,798 mmscfd in 2016, representing an average increase of 18 percent in 2017. The Company takes delivery of 85 mmscfd raw gas daily. According Mr. Owusu-Bempah Bonsu, the country’s regular demand for natural gas is estimated at about 560 mmscfd. The demand will increase if additional projects under construction are completed together with the future earmarked projects i.e. fertilizer, rail construction and other facilities that will come on stream to depend on gas. The indigenous gas supply volume does not meet the national demand. Presently Jubilee supplies 120, Sankofa 180, TEN 60 mmscfd, totalling 360 mmscfd. The Gas Processing Plant at Atuabo has the capacity to produce about 150 mmscfd of raw gas. Currently it produces about 120 mmscfd from the Jubilee Field. The company is now expanding to increase daily production to about 405 mmscfd. It is working closely with upstream partners such as Tullow, ENI, Cosmos and Hess to construct a second train to accommodate increase in natural gas supply from the present gas field and future discoveries. The plan to build a second train is however subject to supply and market economics. In terms of gas, Jubilee Field has associated gas reserves estimated at 490 Billion cubic feet (Bcf); TEN field has associated gas reserve of 363 Bcf; and Sankofa Gye Nyame has non-associated gas reserves of 1,107 Bcf. When developed, the Mahogany and Teak discoveries will give the country total reserves of 120 Bcf. According to Index Mundi, Ghana is the 81st producer of gas in the World. Ghana Gas presently processes, transports and sells Lean Gas, LPG and Condensate. Isopentane will be its additional marketable product. All lean gas produced at the Atuabo plant goes into the domestic market. At the end of 2017, 94 percent of lean gas produced (27,118 mmscfd) went to the Volta River Authority to produce electricity for the national grid. The remaining six percent was delivered to industries. 110,302 MT of LPG was also supplied to the market. According to the National Petroleum Authority, Ghana consumed 281,474,479 KG of Liquefied Petroleum Gas, LPG in 2016 as against 279,019,820 KG in 2015.